The new iPhone SE may come with many parts of the iPhone 6S, although the handset has the same design as the iPhone 5S. 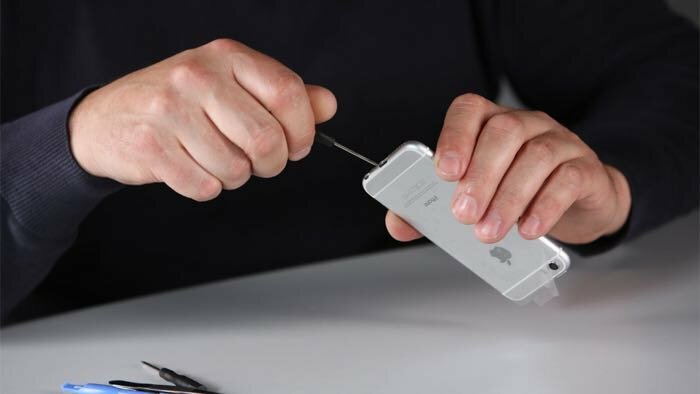 The guys over at Computer Bild decided that they wanted to make their iPhone SE look like the iPhone 6S, so they purchased some fake Apple parts and set about modding the handset, as they point out, if you do this it totally invalidates your Apple warranty. It took the guys from Computer Bild a few hours to give their iPhone SE a similar looks to the iPhone 6S, it was apparently a complicated process which involved removing every single part from the SE to put in the new case. First the most important finding: Only attempt the iPhone conversion if you’re a pro. If you have never opened an iPhone before, you are most likely going to fail. There are a lot of delicate parts on the inside that break easily, when assembled incorrectly. Furthermore, you lose you warranty, so it’s not a good idea to swap the housing on a new phone like the iPhone SE. furthermore, the backplate’s quality is not up the quality standards that Apple customers expect. You can see a video of the process over at Computer Bild at the link below, as it is complicated it should only be done by people who know what they are doing.